‘Unruffled’, ‘calm’ and ‘matter-of-fact’ are words I often use to help parents understand that intense responses to our kids’ behavior tend to backfire. Our children need to know that their parents and caregivers are not thrown by their minor misdeeds, so they can rest assured that they are well taken care of and not more powerful than the leaders they depend on. A two or three year old whose normal, healthy boundary testing causes fear or anger in an adult can’t feel safe. So the comment (above) was a little perplexing to me until I realized that ‘unruffled’ and ‘matter-of-fact’ (and even ‘respect’) can easily be misconstrued as being passive rather than confidently in charge. This reminded me that passivity is one of the most common discipline FAILs I see. “If my kids’ grandma yelled, “Don’t hit your mother like that!” I would be agreeing, “Yeah, don’t hit your mother! I’m not going to let you do that.” This reaction would not come from a place of anger; it would be firm and out of assurance that I am helping my child. Do you think you might be confusing “unruffled” and “matter-of-fact” with passive or timid? It sounds like your son needs much more assurance and confident leadership from you. You say your boy is quite strong, but you are stronger, aren’t you? 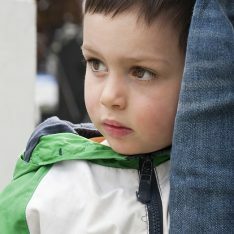 It can be disconcerting and even frightening for young children to feel like their parents can’t physically contain them… It’s hard for me to know exactly how to advise you with just the information you’ve given me, but your boy’s behavior indicates that he is not getting the helpful, comforting, firm responses he needs. There are two extreme approaches to discipline that do not serve a toddler’s needs. One is overly strict, punitive and non-empathic. It involves maintaining control of the household through punitive discipline and other manipulative tactics. The child is perceived as innately “bad” and out-of-control, needing to be taught how to behave through fear and shame. Respect is demanded from children, rather than being something children can be trusted to return to us when they have been treated respectfully from the time they are born. There is a lack of recognition of the healthy need toddlers have to express their burgeoning will by resisting whatever their parents want…and their need to release intense feelings. These parents might worry that their child’s spirit will be crushed or she’ll stop loving or trusting them if there is a conflict of will. They coax or distract their child into the behavior they want (or out of the behavior they don’t want) rather than risk being the mean guy who says “no”. Every tear a child sheds goes straight to the sensitive parent’s heart. But no matter how caring these parents are, the child’s testing continues. It has to, because the child is still not getting the help she needs. These children might seem adrift and uncomfortable much of the time. There may be a lot of demanding, crying and whining rather than healthy coping and resilience, which can send even the kindest, gentlest, most loving parents over the edge. “How could our child keep pushing us when we are so loving, kind and respectful?” But the child’s behavior is not in spite of the parent’s efforts to please, or their gentle, peaceful attitude. It is because of it. If this passive approach continues, these children can become unpleasant company, not only for their parents, but for their peers, teachers, family and friends. Guess which of these two discipline approaches I have more experience helping parents with? That might be because “follow the child” philosophies like the one I teach (Magda Gerber’s Educaring Approach) can confuse parents about their role. Parents are encouraged to respect their babies, trust them to develop skills naturally according to their inborn timetable and lead play. As facilitators of these aspects of child development, rather than teachers, we learn to observe, practice staying out of the way. But this must not be confused with passivity — it is mindfulness. “These parents might worry that their child’s spirit will be crushed or she’ll stop loving or trusting them if there is a conflict of will. They coax or distract their child into the behavior they want (or out of the behavior they don’t want) rather than risk being the mean guy that says “no”. Empathy and mindfulness are crucial but it means being mindful of your own needs too. This really resonated with something I posted earlier this week. When you are unclear about your decision to say ‘No’, the message you send your children is that you don’t really mean what you say. This then prompts the children to make sense of what you DO mean by trying again. very confusing and it is also why children keep badgering you to change your mind – because they know that you will…….eventually. Imagine having this much power when you are 2 or 6 or 13 – the power to wear someone down. Especially when children need to be raised and encouraged in an environment where they feel supported instead of in charge. YOU are in charge, you are the parent. Meaning what you say is really important, but how do you stick to your guns? First of all you need to be clear about what is important to you, then it is important to be clear on what is good for your children. Write a list of your values and what is acceptable and unacceptable to you and also write down your child’s basic needs, healthy food, sleep, play, love etc. and know that you are NOT harming them by saying no to anything outside of this. Yes they will push, but caving means that you let yourself down and you let them down too by sending the wrong messages. Secondly, you need support for yourself so that you have the energy to stay firm and kind. When you give in, it’s really easy to blame the children but ultimately you have to take responsibility for the truth. You wanted to discomfort and frustration to go away and you caved in to feel momentarily better. The discomfort and frustration then grows inside of you and blaming your children for being annoying isn’t really fair, they are just doing what they have been taught to do. When you break it down, we are giving in to our children because of our own feelings or worries about being seen as unreasonable. By doing this, we don’t give our children clear messages and we let ourselves and them down big time. I really feel that the parenting emphasis needs to change back a bit to ‘bringing up a unique and happy child that is a hard working and respectful member of their society’. I sometimes think that we are instead being encouraged to raise Princes and Princesses and should hand out Crowns and Tiaras because our needs have become secondary. No wonder children have a massive sense of entitlement – WE HAVE MADE IT SO by being wishy washy and worrying too much about upsetting our children in case we cause them harm. Instead we harm ourselves by becoming doormats. Society doesn’t work well when 1 or 2 people do all the work whilst others sit around and expect everything to be done for them. That is ‘Royalty’, not ‘Community’. Remember when you were little. There were probably people in your life who you just KNEW meant what they said. It may have seemed unfair at the time, but you didn’t ‘push it’. My grandparents were a bit like this, they were kind but firm, they knew their own minds but sometimes they said ‘yes’ for a treat and I grew up respecting them because I knew where I stood. Be firm and kind, not mean and weak and remember that you matter too. It isn’t FAIR to our children to put them in the position of being annoying to us and to others. It is neglectful of their needs. THIS is what makes children have to grow up too fast — they can’t be happy-go-lucky kids because boundaries aren’t sturdily in place. THIS is why a child might seem angry all the time. There was a very popular post passed around about a child who was innately angry…and the parent was lauded for being so open and honest. But children aren’t innately angry! They can be innately intense and strong personalities. But it is the child’s intensity + the parent’s passivity that equals “angry all the time”. We do our kids a great disservice when we can’t step up and give them the clear boundaries they need. I am in tears reading this today. My husband is very passive and gets angry any time I try to set boundaries because he doesn’t want to hear our 3yo cry. Just yesterday at the store she repeatedly ran away and hid from us. He would not let me take her to the car or do anything to stop the behavior. I was beyond angry with both of them. Then, when I got on her, not yelling or raising my voice, for nonstop arguing with everything either one of us said, he snapped at me. I was livid. It makes it worse that he has stage 4 lung cancer and doesn’t know how much longer he’s going to be here, or even how long he’s going to be healthy. I feel like I’m the mom of an out of control 3yo, and soon I’m going to be a single mom of an out of control 8 or 9yo, then an out of control teen. I am so determined not to spank her, but she thinks it is ok to look right at me and do something I just told her not to do. So sorry to hear about your struggles. I don’t have any words of wisdom but I can empathize. Sometimes I feel as though I’m just blindly feeling my way through this whole parenting thing. Good luck to you. An incredibly hard situation, Sarah, because you have two people in your life with out-of-control emotions… your husband and your toddler. As hard as it might be, I recommend allowing these emotional plates to drop.. In other words, do what you feel is best, rather than trying to cater to your loved ones’ desires and emotions. Your husband WILL snap. You daughter WILL be defiant and emotional (as toddlers often are, especially when there are intense emotions around them). Let this be. Let the plates drop. The feelings will come in great waves, but be ultimately healing. Wow that is a beautiful and powerful advice Janet. Thanks for all you do, Amanda! I wish that there was a greater understanding on the part of adults about the dangers of both, too high AND too low control, and the dangers of too high AND too low warmth. This is presented in Montessori – The Science Behind the Genius. The authors of Positive Discipline and Raising Self-Reliant Children use the words firm and kind; there are dangers of both, too high AND too low firm, and dangers of too high AND too low kind. I’ve seen a graphic diagram with this message, if only I could find it! There are four “windows” from which you can “observe” and reflect on your own interactions with your child(ren). • Think of a child’s life where there are few adults with warmth and also lack skills in being firm; the child experiences apathy, neglect or abuse and violence. • Think of a child’s life where there are few adults with warmth but are overly firm; the child experiences dominating adults, threats, bribes/rewards, fear, arguments, manipulation, no respect, guilt. • Think of a child’s life where adults are overly warm/kind and also lack skills in being firm; the child experiences unclear boundaries, little focus, confusion, chaos. • Now think of a child’s life where adults are practicing their kind yet firm skills; the child experiences clear boundaries, focus, happiness, confidence, order, cooperation and feels safe, supported, love, and peace. It’s quite the balancing act, but so important. Thanks so much for sharing this, Sheryl! My only concern is that this sounds complicated…and it really is not, but this balance of firm and kind is tricky for some parents to get a handle on. We can understand this intellectually and still not be able to believe in it enough to do it. I think the key is to SEE the result, as many parents have reported to me that they do….and I’ve seen it many times myself. We see something in the child suddenly relax. There’s relief that the parent’s safe nest is really there…and that brings with it a feeling of freedom. All this can happen while the child is ostensibly complaining or even crying, but it’s there if you look closely. Very important topic, nicely done The three Gerber quotes are perfect. She sure knew what she was doing, didn’t she? And thanks for the link to my article about entitlement and the fear of saying No. If it is true, (what we hear) that parents have a harder time saying No, maybe it is because there used to be a consensus about what appropriate behavior is–now each person is required to make a decisions moment by moment and find that point of integrity within them. It harder, but I think it’s better. Rick, thanks! I agree that it’s better now that we are taking the time to be discerning about decisions. The days of “seen but not heard” children are long gone. But perhaps the pendulum has swung a bit too far in the opposite direction? We should probably try to question our decisions a bit ahead of time…not in the moment when our child needs a decisive response in order to “check that box” and move on… Then we can be calmer parents with happier, freer children. LOVE your “happiness” post. And, yes, Magda was wise. Very wise. Thanks, Janice. It’s always enlightening to read your articles. My teaching mistakes are almost always the kind you describe here. If anything, I may remain too calm (?) when I see a child about to hurt another child I simply stop them and say, “I won’t let you do that.” I’ve been working with a child who has been biting (a lot) and I’m not sure how to help her other than to stop her and suggest another way to handle the situation (“tell her ‘I’m using this!’ and hold on tight” or “you can move your body away if you feel squished”). I know there’s no overnight cure but is there something else I can do? The other teachers think she needs to be punished and that we need to “get angry” at her. We’ve been keeping her close and shadowing her. What’s the natural consequence of biting someone at school? Teacher Tom has my favorite step-by-step on dealing with hitting (biting/kicking etc). http://teachertomsblog.blogspot.com/2011/09/hitting.html My son isn’t old enough yet for this to be an issue so I can’t vouch that it works, but it seems like it would. Vanessa, I’m so glad you are handling this situation calmly and consistently. I think what you are doing is perfect. Yes, shadow her as much as you can so that she feels protected. You might also try to figure out if the biting happens at certain times of day, etc., (like when she might need a snack or is tired). Dear Parent by Magda Gerber has a chapter about biting and 1, 2, 3, The Toddler Years is an excellent resource, too. Thanks for the tips. I’ve found that transition times and places where she might feel squished (waiting to use the sink, playing in a tight space, etc) are times when she tends to bite. I also love Teacher Tom’s step by step, although the waiting is definitely the hardest part! I usually get looks of confusion and then after saying something like, “Are you going to hit your friends?” I get nods. I think they understand that they’re not supposed to do it again but they nod in agreement with me, which then seems like they’re saying “yes I will hit” even though that’s not really what they mean. I’m definitely going to have to pick up some books this weekend! We’ve also used our observations along with Janet’s interaction methods. Our observations give us ideas for changes we can make in a classroom to support a biter’s stress. But the first thing we always do is make sure the biter feels attached to one of us. You know how toddlers check in with their mothers by looking around for them and making eye contact. That s their way of feeling safe and assured that mom has everything under control. We watch for that behavior and smile when her eyes find us. We use lots of nonverbal affection that doesn’t interupt play. And for the toddler who has trouble during transitions, we limit them. Reduce wait time. He’s the last one to clean up, then go straight to diaper changing and immediately outside or whatever we are doing next. So all of that is done in one transition. No wait time in between. Finally some of our toddlers need help defining personal space. A Montessori work rug has helped our toddlers to learn to respect others’ space and to feel safe in their own space. Not every toddler needs or wants a rug and those who benefit from it only need it for a few months. Good luck! sorry I called you Janice! You know I meant Janet. Maybe sometimes “I won’t let you.” means taking a step or two out of hitting/kicking/biting range. When you talk about a big strong toddler, I don’t really think strength is the issue. A very small toddler can still be difficult to restrain. They flail and put every ounce of strength into fighting you, and while you are concerned with not hurting them, they have no such limits regarding you. You don’t want to get into a physical battle! That’s not in control. I don’t think of “I won’t let you,” in terms of all-out restraint. Instead of pinning down his hand, I’ll block it, or take away the block he wanted to throw, or pick him up and move him away from the harassed cat. It’s physically impossible to control every part of our child’s body at every moment, and we don’t really have the right to do so anyway. “I won’t let you,” doesn’t (I think) mean preventing them from choosing to hit, it just prevents them from landing a hit. I was so delighted to see this post! We follow the tenants of Madga Gerber’s work, as well as some Montessori and Waldorf philosophies. We have observed that one of the biggest challenges for parents is to understand that Gerber’s intention was a delicate balance of sensitive care giving with “releasing” the child into independent play, a beautiful dance of reconnection and alone time to just be. Many, many parents misapply her ideas of doing less, observing more not only in play, but across the spectrum of parenting. It causes a great deal of confusion in the realm of discipline, when it is imperative that the parent feel empowered to take over with confident leadership when the situation calls for it. This post was a helpful look at the other side of doing less, observing more, which calls for confidence in the child’s need for clear, firm boundaries, then freedom within those boundaries to “be”. Chrissy, I hope there will be many more posts about this issue, too, because I agree that it can be confusing and yet it is so serious and important. There IS no real independent play if boundaries aren’t securely in place. There is no anything. I’ve seen children functioning at only a fraction of their capacity because their parents have a hard time providing clear and firm guidance. It’s really sad for me to see so much strength turn into weakness. Thanks for your corroboration and unique perspective on this issue. I love what you say about the sensitive balance and beautiful dance of parenting and childhood! I’d like to offer a little different definition of being “innately human,” though. Instead of thinking that selfishness is an attribute that must be dealt with, I see this from the viewpoint that from 0-3, children are developing their sense of self, their own identity. Figuring out where this self fits in with the rest of the world is innately human. If children have been taught, through the actions of their parents and caregivers, that everybody matters, they have an important and powerful guideline in handling relationships. Modeling respect for others, of course, helps this process, as does talking to children in a very natural way about being part of a family, the idea that everybody matters, and that part of a parent’s job is to make choices that (they feel) are best for everyone (until children are old enough to make and take responsibility for their own choices). These don’t need to be “heavy-handed” or even serious conversations, but can be easy comments and observations along the way. Relationships require the balancing act of being true to oneself and honoring others. As with any skill, this takes practice, and practice is not failure! If children end up choosing behaviors that become a personality trait because somebody else said so or made them (for example, not being selfish), we have missed the opportunity of them feeling their way to their choices, based upon their own inherent ability to do so. “Molding” children into charming personalities becomes the parents’ accomplishment. It is important that our children’s personalities be the result of “true” choices and their own accomplishment of growing into themselves! This is really great! As a Montessori toddler teacher I come across these issues frequently. I hope to share this with my parents if my administation is agreeable. I am a bit confused though as it seems to conflict with the RIE training I took where I talked about children “experimenting with power” and mentioned removing a child having a tantrum from the work area where it very interupptive (and that seemed to be part of the goal) to somewhere where they could “finish” the tantrum without hurting others but also not interrupting the other things going on. The child stopped immediately. I was told that children aren’t manipulative and shouldn’t be removed but always allowed to cry and “tantrum” as it is respectful. I’ve thought a lot about this. Any thoughts? Thank you, Kate! This situation you describe is a little unclear to me. So, the child was hurting the other children? Or just a distraction? I would not consider a tantrum manipulative… It’s an emotional explosion that the child doesn’t control and not a behavior issue in itself. If the child is kicking or hitting others, then I might move the child. I also might try to move my child if I was in a public place and wanted to find a safe, more private place for us to be together during the tantrum. Yes, it was a little confusing. The child will just start crying and even screaming and work himnself into a tantrium right in the middle of a work area. By work area, in Montessori we have dish, cloth, hand washing stations, biscuit making, flower arranging. All of these are near one another and if he can’t do what he wants at the moment he will tantrum. When I tell him we’re going to go somewhere were he can cry and scream (the other end of the room) but the other children can keep working, he stops immediately. I think what you are doing sounds perfect, Kate. I don’t know what it has to do with the child being manipulative or not. You can respect the child’s need to vent his frustrations by not punishing him for the tantrum but ALSO respect the other children and their need to work uninterrupted – by doing exactly what you say, moving him and allowing him to tantrum elsewhere. And at any rate, by the age of 3 or 4, children ARE capable of being manipulative – as they figure out the separations between their own mind and the minds of others, part of that process is learning that they can lie and otherwise change their behavior to affect what other people do. There are people who claim that infants cry to be manipulative, and those people are utterly wrong because infants are definitely not cognitively capable of manipulation – but by preschool age, they definitely are to some extent. Fabulous post. I agree 100%. There are times when as parents or carers we do need to use our physical strength to show a child a boundary, by holding them against their will. This is something that can easily be misconstrued by some and it is really hard to talk about without starting a storm of abuse online. I have no hesitation in holding a child firmly enough to prevent him/her striking/kicking/biting me or others. This CAN and SHOULD be done accompanied by gentle and loving words- “You are safe with me- I won’t let you hurt anyone while you’re having trouble with these big feelings”- and the firm hold can be gradually relaxed as the child calms, and replaced with complete gentleness. There are specific techniques and positions which can be adopted to make it easier with a strong and vigorous child- sitting them on my lap at a slight angle (so they can’t kick my legs) and holding their hands so their arms cross is one I have often used, though one still has to beware of them banging their head back at your face. In this position you are embracing the whole child, big bad feelings and all. No child has ever come out the other side of this hating me- quite the opposite! If anything, they are quicker to approach me when their feelings start to escalate. Thanks, Annie! I totally agree about the holding…and I know how difficult this can be for parents to do. There is a HUGE difference between holding a child with a calm, but firm, helpful attitude and doing this in anger. This kind of intervention must be done WAY before the parent gets angry, or it can verge on being abusive. I think we sometimes underestimate our children’s level of understanding when they test limits… They often know that they are crossing a line and purposely do it to get the assurance that we will stop and protect them. When we give too many chances or choices, because we’re not sure they understand, we can get to that point of anger… Then intervening is less effective and even dangerous. maybe in simple terms we just call this hugging. nice. This couldn’t have come at a better time. I have found myself on the verge of losing it and not having a complete understanding of why my son is acting the way he is. I was sitting on the couch today and thought about the rolodex of reasons why he’s acting out. I realized it’s probably because of a lack of consistancy and passiveness on my part that is sending him frustratingly mixed signals. I’ve been so worried about being peaceful and calm that I’ve been walking on my boundries. Yes I will stay calm and set boundries with certainty. Catelin, this is a very common misconception about gentle, peaceful parenting, so it is perfectly understandable and something you can definitely change. I was definitely guilty of permissive parenting with my first child, and I find we still struggle with boundaries even though he’s almost 4. This post is such a good reminder to me that establishing boundaries can be done in a calm, confident way, and don’t have to be yelled or created with intimidation. I find that the better I am at setting boundaries, the better our days (and weeks, and months) go. It’s amazing how important they are. Suchada, I think this is the most difficult aspect of parenting for all of us. But I agree — understanding healthy discipline is amazingly important. Lovely post. One thing I’d love to see in a future post is a similar kind of parsing of how one responds to whining when one wants kids to be able to have their emotions. I have no difficulty responding firmly to whining versus giving in to it when the whining is about something I don’t want my child to have/do, and my daughter generally understands that no means no without a lot of pushing. Trickier by far is responding to the whining (or demanding) child who is in fact asking for something reasonable (I haven’t said no, but I guess she worries that I will). I want to respect the emotion (clearly she’s feeling something real, even if it’s anxiety about whether I’m going to let her have a popsicle) but I also do not want to be yelled at, and I worry that my daughter will take fulfillment of the request as evidence that the whining was what got her what she wanted (when the whining in fact had nothing at all to do with it). And it doesn’t feel that different to say, “Please ask for that in a calm voice” versus “Say please” (which I firmly oppose). I often kid her and say, “where’s your beautiful voice?”, just to make her aware of her tone (she usually smiles and points to her tummy), and then proceed to offer her what I would have otherwise. (I certainly don’t want to withhold, say, the popsicle I would have gladly given her otherwise.) But I do ask myself what other responses might be possible. Sometimes when children use a tone of voice I don’t like, I simply say, “I can’t understand you when you talk like that.” or “It’s hard for me to listen to you when you use that tone.” or as you said “Ask me in your calm voice.” I think being matter of fact and expecting children to treat us as they wish to be treated is only fair. It goes both ways doesn’t it? As I’m writing this I’m thinking that there might be a way to acknowledge her feelings, “Wow, you sound upset. Are you worried that I’m going to say no? You don’t need to use that tone. You can ask ‘Mommy, can I have….? '” (model a conversational tone). If she keeps whining, maybe she just needs some time to re-center. You might deflect her troubles by offering her a cuddle and saying, “I love you sooooo much! What is it you want/need?” I’m not sure what will work, but I appreciate you helping me think through this as well! Vanessa, wonderful response. Thank you! Vanessa, thanks so much for taking the time to reply! I found your response about how one might acknowledge her feelings really helpful; I definitely need to do more of that in this context. The only place where I’m not quite with you is where you propose: “I can’t understand you when you talk like that,” unless I really don’t understand (and sometimes I don’t). It feels not honest,and that bothers me, partly because someday my daughter will know that I’m just saying that, but mostly just because I feel like, unless there’s an extremely compelling reason, it is more respectful to not tell a child something that is untrue. Also, because I have used it with her when I genuinely don’t understand a request, I see that it deeply, deeply distresses her. We usually understand each other pretty well, and I guess to her it’s an awful thought that I don’t understand her — probably destabilizing beyond what a simple “no” would have been. I do still use it in those situations (although as I think about it I might do better to say something else in those moments as well), but I don’t think I’d use it for a time when I do understand. But I will definitely try to be more mindful of language that allows her to know that I am hearing her feelings. That makes a lot of sense. Thanks for pointing me that way, Janet! Very helpful. I wrote about this to you personally, and have been thinking about it a lot. I’m talking about the use of the word “discipline.” I understand that Magda Gerber used it and i think she was saying to set firm boundaries. To not be afraid of upsetting your child. I agree, whole-heartedly. However, I don’t think we need to use the term “discipline” anymore to describe holding boundaries, explaining situations and saying no. Saying no can just be saying no, it doesn’t have to be labelled discipline. I bring this up because the term discipline has evolved. One of the defintions of it used to be TEACHING or INSTRUCTION, however, websters tells us what many already know, it is an OBSOLETE (dated, antiquated, out of date) definition. What it does mean to most people in our culture is PUNISHMENT. And i know that is NOT how you or Magda Gerber use the word. Likely you mean more like holding a limit. That is important. And children need that. But I just don’t believe it should be called discipline. Below is the etymology of the word discipline that goes back to the 11th century. You will see that while teaching and learning is a part of it, overwhelmingly so, it is about punishment. I think we have two options, to try to redefine DISCIPLINE as guidance and boundary holding or we can ditch it all together and say explicity what we mean, like boundary holding and teaching and guiding etc. I think the more specific the better. I don’t see how calling it discipline helps. Also, I do not want to confuse the use of the word discipline with self-discipline which is more synonmous with self-control which may be a goal of punishment or discipline as u use it but they are different words. early 13c., “penitential chastisement; punishment,” from O.Fr. descepline (11c.) “discipline, physical punishment; teaching; suffering; martyrdom,” and directly from L. disciplina “instruction given, teaching, learning, knowledge,” also “object of instruction, knowledge, science, military discipline,” from discipulus (see disciple). Sense of “treatment that corrects or punishes” is from notion of “order necessary for instruction.” The Latin word is glossed in Old English by þeodscipe. Meaning “branch of instruction or education” is first recorded late 14c. Meaning “military training” is from late 15c. ; that of “orderly conduct as a result of training” is from c.1500. Jennifer, thanks for sharing your thoughts. I don’t share your aversion to the word ‘discipline’…and I wonder… Do you feel this word is impairing you as a parent or blogger? Do you think it is the term ‘discipline’ that encourages parents to punish? I think it’s the other way around — unhealthy attitudes about discipline have altered the connotation of the word. So, my focus is on educating parents in order to re-alter this connotation to “education”, “guidance”, “character building”, etc. After all, we don’t think of ‘self-discipline’ as spanking ourselves(!). For me it is clear that it’s the connotation that needs reworking, not the word itself. And as a blogger I’ve learned that discipline is something parents and childcare professionals recognize they need help with. Two of my most-read 3 posts (out of 269 total) include the word ‘discipline’ and have been read my many thousands of people. Most of these people were introduced to my blog because of the term ‘discipline’. Discipline gets them in the door to learn more about respect, guidance, limit setting, boundaries, the need for parent leadership and many other RIE things. I see no reason to stop offering parents what they know they want and need help with. I love your blog so much – it’s my first port of call and an amazingly valuable resource for us. We are very much trying to strike this balance, and sometimes I feel that calm sense as I know I’m doing okay and getting it roughly right. We have a very expressive and emotional, confident and loud (and wonderful!) daughter of 2.5. During the day I’m pretty confident that I find the discipline plus respect line – whether that’s during “I NEED a treat!” type episodes or managing tantrums with love or plain naughtiness. What I find really very hard is around mealtimes and bedtimes. Our daughter finds eating very, very boring, and always has. She gets a healthy balanced diet which is super important to me, but to achieve this I have to invest an awful lot in encouraging her, and, frankly, bribing her to stick at it. If we’re round the table chatting, eating, having food – food she likes and I like her to eat, she’ll very, very soon lose interest and get down and be off. And honestly, she’d then just not eat at all, quite happily, and next step is nightmare trying to get to bed, because of course she’s hungry, and then yelling out from bed for snacks and just not being able to sleep with that empty stomach, and waking in the night – so that’s a bad scene for me and beyond what I can cope with. I basically need her to get a good dinner so that she sleeps well – which is vital for us both. But yes, I basically bribe her by reading stories through the meal while she eats (quite happily, no indication that she’s over-eating (as if!) or being force-fed or hates it). I do also use the “if you want pudding you must have four more mouthfuls of rice” type approach which works as well. We get there – it’s not too bad – but I’m worried about the habits I’m setting up and the expectation of intense personal input at mealtimes. Sorry, this is long and detailed! Your article really struck a chord – I agree so whole heartedly and from own experience and consequent years of therapy do NOT want her to suffer the unpleasantness of a lack of boundaries in parenting / a feeling of having too much power. I’d really appreciate your feedback. VEry best, and endless thanks for your practical wisdom. Trying to control your daughter’s food intake will create difficulties for both of you. I’m not sure where you got the impression that mealtimes are boring for your daughter, but I do not recommend continuing to coax her to eat. TRUST is essential around mealtimes. Only your daughter can know when she is hungry and how much she needs. These power struggles you’ve created and the entertainment (books, etc.) are actually undermining her ability to eat in a eat in a healthy manner, because these things distract her and “drown out” the important messages she needs to receive from her tummy. So, I recommend offering healthy choices and trusting her, even if she only eats one bite. Say, “oh, you weren’t very hungry, we’ll try again later.” Children do not starve themselves, but they do sometimes acquire unhealthy, emotional eating issues. Let mealtimes be “boring” and trust your daughter. Regarding bedtime, be clear, firm and confident about the “plan” you have together. Ask her about the potty, snacks, etc., before bedtime, so you are certain that she does not need those things. If she cries or tries to come out of her room, respond right away, but very calmly and matter-of-factly. “Oh, I hear you’re upset about going to bed now, but it’s time. We won’t be going to the bathroom or having snacks now. It’s bedtime.” If she walks out of her room, calmly and confidently take her hand and walk her back. Toddlers are very smart and they know what kinds of “tests” push our buttons. She knows that her eating and going to the potty are important to you. So, trusting her around food will actually help diffuse that particular test. Your attitude of assurance and nonchalance will make -or- break both bedtime and mealtime “working”. Your daughter is just doing her job, feeling around for the boundaries, so give her the boundaries she needs — calmly, patiently, confidently. I totally get this, my son was/is exactly the same, just a year on. Same meal time problem, same then hunger at bedtime. Hope it eases, just wanted to say I get it! Is any of this very wise and helpful information available in Spanish? There are so many cultural customs that also play a role in healthy/unhealthy parenting. Personally, I’ve witnessed some very passive parenting from moms who don’t know how to access their assertive selves. There’s a disconnect with their own feelings and needs. I have heard it said that the rapprochement phase of a toddler’s life is mirrored in the push and pull behavior of the teens years … both being times of separation and individuation. I studied Magda Gerber’s work many years ago in a RIE parenting class. The themes that you are discussing work well for enhancing and repairing parent-teen relationships. In my experience, the parent-child attachment style is often at the heart of a teen’s willingness to cooperate, and adhere to the limits set by their parents. Too frequently, I see parents using rewards and punishment to influence their teen’s behavior, often resulting in power struggles and resentment – on both parts. It is not uncommon for parents to repeat the parenting responses they saw modeled by their own parents. In my work with parents, I teach them about secure and insecure attachment styles, and how to apply this knowledge in their relationship with their teen. Each week, we work on very practical applications of this knowledge with examples from their day-to-day life. I help parents slow down, and become curious about what their teen’s behavior may say about what they are needing in that moment. Although is is appropriate to set boundaries and have expectations for a teen’s behavior, it is also important to utilize your relationship with them to teach alternative ways of responding to their challenges. 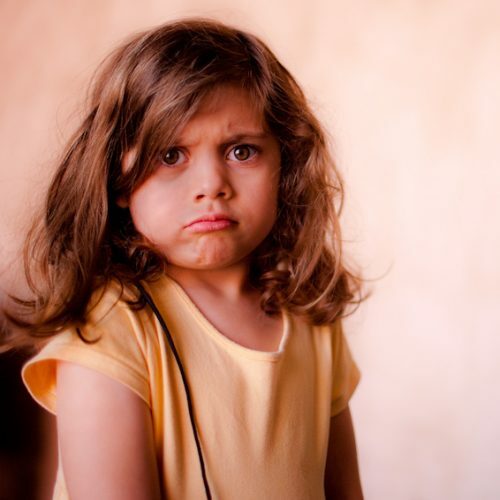 Are tantrums that last almost an houe signs that something very serious is going on with the child. I can’t see a working patent taking that much time out of an evening to “be with” a child while said child odds screaming. I’m a little confused about how being with a kid during this behavior isn’t passive. Thanks for this article. It is thought provoking which is great. I have a 3 year old boy who is very physical and has a strong personality. Two great traits but can be very hard to deal with at times. We are well and truly in to ‘tantrum time’ and have been for quite a while. All normal for a boy of his age I know. My query is really about how I can perhaps improve our experience of each other at the moment. I am finding the behaviour stuff can really wear me out and then my reactions are not coming from a great place. An example would be watching tv. He watches his shows and then we prompt him ahead of time that we will be turning the tv off. He agrees and then when the tv goes off he gets very disappointed and then that turns to anger. When outside he smashes against windows with brooms or whatever he can get his hands on. At this point I am saying ‘that behaviour is not ok. When you are ready I am here for a hug’ However I can’t reason with him. He is too wild and caught up. I feel like my responses are ok but the behaviour patterns just doon’t seem to be changing. Eventually with frustration (not all the time though) my response can get more heated but generally I keep my cool and just set limits about what is ok.
Can you suggest anything more or less that I could be doing?? Do patterns change if you get the right combo of responses for your child or does it just take time repeating the message? Hi Janet, any recommendations if your young (nearly 2 yrs) toddler is testing boundaries by refusing to eat any good food you want her to or present her with, whether as snack, at the table, or in various guises, shapes and sizes, unless it is ice cream or something bad for her, with lots of sugar !? Huia – have you thought about no TV? For certain children TV isn’t a good choice. We had a mental list of five things we always ran through to work out extreme changes in behavior: tired, hungry, thirsty, too much sugar, too much TV. TV is our cheapest babysitter but as with any short cut in life, there is a higher price to be paid. I relate to this article SOOO much! My daughter is experiencing the phase called “the terrible twos,” and she’s become demanding, rude, and whiny at times. I’m beginning to read these posts and learn, but this one, in particular, is so “me! !” I fear more that it’s too late for these approaches to help my son, though. He’s six years old. Of course, I know it’s never too late to try to change, but 0-6 years old is the key time for brain and personality development. Sadly, my laid back, go-with-the-flow personality was not a good match for his personality needs. What now? I probably missed it, but I didn’t see anywhere his to discipline the child..Say if they are doing something wrong like, like hitting their Mother what do you do besides spanking or time outs to show then that’s not ok…when you tell them ‘no’ and they do it anyway how do you enforce it? Do you have any advice for someone parenting an older child he is 8. Had aspergers. But I know usually one done is done but I feel I have been doing it the first way demanding respect etc it seems I was doing it right when it was just him but now that I have 1 toddler and a baby I have resorted or changed who knows why stress.. less time. .
My problem now is I’m 24 wks pregnant and finding it very hard to pick him up. He will lay on the floor not moving with no amount of positive motivation helping…I know you don’t want to try and peepee right now but it’s time…I can see you need to go. let’s take stuffed puppy peepee too! Or after we make a peepee we will have a snack! I’m getting increasingly frustrated during the day as this happens over and over again in a day and I can’t really lift him up and “help” him to our destination. Help! This is a great article with very helpful comments. It’s so important to remember that boundaries are there to help the child, teen, friend, or colleague as well as yourself. It makes your child feel safe to know someone else is in control and will meet their needs, not necessarily wants. 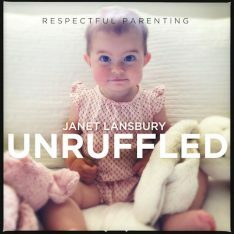 Hi Janet, love the article, it really reaffirms my belief in our role and duty as parents/care givers to parent and prepare our children to be successful adults, which does involve exploring a child’s need to experience and subsequently learning to deal with all of the human emotions. Being a mum of three now, I am a firm believer in doing what gets you through the day sometimes, but I have learned that consistency is key to gaining cooperation, no must mean no everytime you say it if you really mean it, and sometimes it is the little things that can help to diffuse or de-escalate a potential meltdown. One technique that works particularly well for us presently is the ‘when and then’ rule. We have a 5 year old, a 3 year old, and a 4 month old, so addressing all their individual needs is tricky, but the eldest two can comprehend the concept of action and consequence (on differing levels), and this rule seems to incorporate a firm boundary without punishment or penalty, but still allows for freedom of choice, for example, “when you finish your tea, then we can read a story”, “when the toys are tidied away, then we have more room to play another game”, “when you hit your sister, then she feels sad”, ” when you hug your sister, then she feels loved”, “when you speak in that voice (whining, shouting), then mummy finds it really hard to understand you”. Although not always grammatically correct, we find it allows both of them to know what the boundary is, what an action to do to achieve a positive outcome is best to take, and ultimately stops us reacting in a negative manner to their needs, we feel more in control of the situation, and keeps us a lot calmer, especially during the last couple of hours before bedtime! Hi! I have a 5 1/2 year old who I have struggled with over this exact issue. I wax and wane. The wheels aren’t off the bus, but I certainly could have done better. Any advice/encouragement going forward. I know it’s never too late, but in so many ways I feel our dynamic is fairly permanent at this stage as well as her personality. Any input welcome! Excellent post! Can you give us examples of parenting through fear as well as parenting through shame? Often those two are not separated out. I would appreciate seeing examples so I know what trap to not fall into. I currently have a two month old, 18 month and 3 year old. My 3 year old is very bright and really likes to test the limits. My 18 month old is now starting to imitate all the unfavorable behaviors he does. I don’t know if I am just tired, no longer have patience, or inept at toddler discipline. I keep reading to try and get some support because I do want my children to continue to be independent and loving people. I never see anything on how to begin if you’ve been doing it all wrong or you notice you are doing something counterproductive. I am worried that my son is starting to really act out, he doesn’t seem as happy or loving lately. I feel like we have a disconnect all of a sudden. I know we are hard on him sometimes because he does seem so bright and able to understand so much, but I don’t know how to direct without getting upset. Where does one start of things have already gotten off to a rocky start? How can I begin to change these behaviors and patterns so my other child doesn’t learn them? Thanks for your help! I am so grateful for the work you do, Janet. Each day I am becoming more and more myself, free to feel, free to say No with love, free to have boundaries. I am shedding the role model of my mother and becoming more myself. My daughter listens! I do not have to have a stern voice. I do not have to yell. I do not have to threaten. Example, my daughter wanted a bottle, I said not until bedtime (15 minutes away, but I didn’t bother saying that, she knew it was soon). She said, I am! And went to fridge and took it out and into playroom. I stayed in the kitchen, and DIDN’T MAKE HER PUT IT BACK. I paused. I didn’t know what I was going to do if she drank from it, because, first, I was going to let my knee-jerk learned anger move through me without acting on it. 15 minutes later she was about to start another puzzle and I now have a casual demeanor, which I used to fake, rather than act on the anger, and I said she could do the puzzle in the morning. She protested, which I don’t freak out inside myself as much (I am recently really coming into myself, with all the learning and practicing I have been doing here) and I continued to gather up her blankies and not butting heads with her. I completely trust you and believe you when you offer guidance and support surrounding the protests of a child: let the plates drop. Yeah. Yes. Let the plates drop. Those really are the best moments of the day–if I took good care of myself, first. I now get to bed on time. Exercise at least 10 minutes a day, even a plank pose and stretching. And I do a yoga nidra session I found on Youtube. Deep relaxation for 35 minutes. I am nothing as a person, much less a mother, without the self-care first. Thanks for everything.